gate0000 | It's All About " Gate Computer-Science "
A. To prepare for a competitive exam, the first and foremost thing is determination. It is like “If I want to do it, I will do it, No matter how”. An Exam is just like a battle, give your everything to it, but stay calm as well. B. Fix small targets like I will complete this and this topic in this week. This is the time for concept building. Learn more and more concepts and learn them by heart. C. You need to plan actually every day according to the level of preparation you have done. You need to look out on every aspect of each subject and have to decide how much time to give to each topic. D. Every day when you wake up, make a list of topics you will cover by the night. Strive to achieve the target. and if you fail, have a new start next morning. This is all about how much fight you can put. E. Sleeping is also important. It freshens you up. Sleep of at-least 6 hrs is very vital. Do not sleep too much also as makes you dull and inactive. F. In the schedule you need to take some short brakes of about 10-15 minutes after every 2-3 hrs of study. G. Do not get disheartened if you are not able to keep up to your plans, make another plan and keep trying. Keep your spirit high. H. As far as concentration, you can also try meditating. It helps in relaxing your brain and concentrating. I. If you take adequate sleep with proper diet and devote the rest of the time in properly planned study with breaks in about every 2-3 hrs of regular study you can surely get through this phase.  It’s true that this is a crucial time for you and any efforts without proper direction won’t bring about the desired results. What I would suggest you to do is, make a list of all those chapters that you have completed thoroughly and that you are comfortable with. Then identify your weak areas ant try to cover them as soon as possible. • Once you overcome those areas, this would give you a mental boost and you shall gain momentum and complete rest of the things even faster. • Try to finish your studies once at least by November end or mid-December. Then start giving test papers. 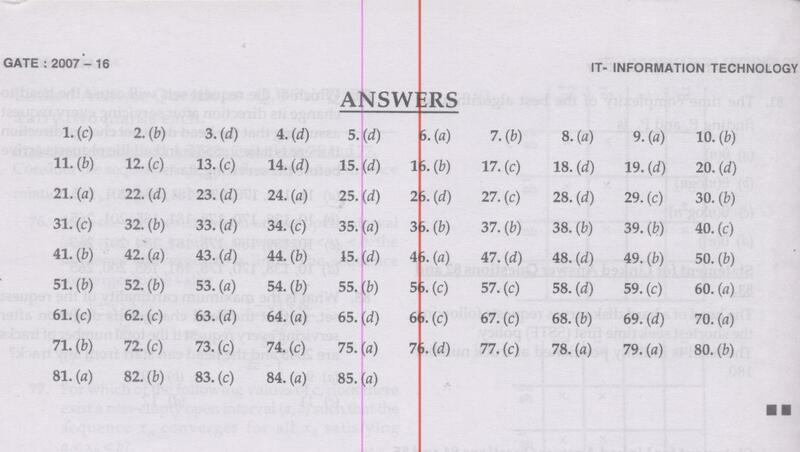 • Plus start solving GATE Questions of previous years, as they help a lot. • This is a schedule viewing the long term plans. As far as daily efforts are concerned, you are yourselves responsible for making a timetable and following it. This is because only you know your daily schedule and the time slots that you can devote for studying. Hence try to optimize those…..Keep your spirits high.  First of all take the GATE brochure where you will have the syllabus for GATE and read every topic and ask your inside voice that “CAN YOU DO THIS?? DO YOU KNOW THIS? ?” by the voice comes from inside you can categorize the every subtopic into GOOD , AVERGE & LOW. • Now prepare your schedule in such way that you will give time to solve problems from topics which are rated as GOOD & AVERAGE and give relatively more time for reading concepts as well as problems of topics which rated as LOW. • So at that time you write as many model exams as possible and AFTER WRITING THE EXAMS YOU NEED TO ANALYSE THE PAPER. This will helps you a lot to identify where you make the common mistakes. It will be more productive if you concentrate on the topics in which you are good at during this time after model exams. • you can prepare the schedule yourself in a better way than anyone else because you know your strong and weak points. but you need to prepare your schedule in such a way that where you can become atleast AVERAGE level in the topics PRESENTLY RATED AS LOW. • And also do the previous year GATE papers. there will be some topics where topics are easy and surely good number questions are expected(like KMap concept in Digital).so don’t leave them. never leave them. you can easily get what the topics are those if you observe the previous year papers. hope this will be useful for you. They are asking from any topic very easy but conceptual questions.If we cannot answer properly,they are giving a lot of hints. It went for about 1 hr 10 mins. i was asked questions from equations, number theory, etc. then i was asked about cse subjects. i said toc, they asked for something else , i said algo. they asked me to find efficient sorting algorithms given some situation. then they asked about which sorting algos to use given a particular situation. to find complexities from recurrence relations and all, np-completeness. 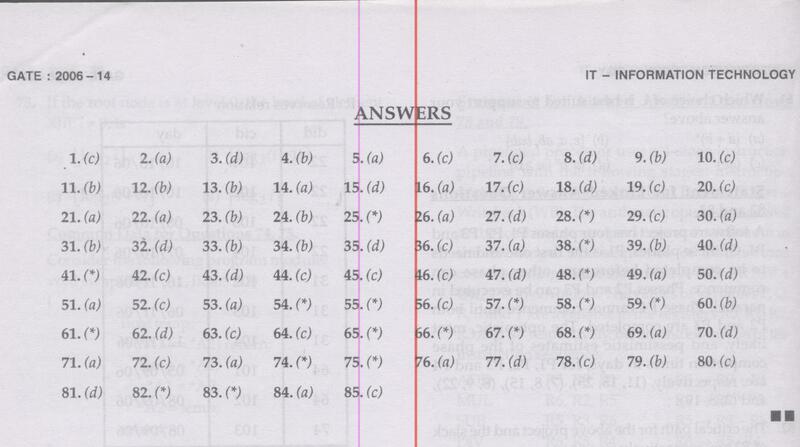 Questions were on mathematical puzzles, Functions and Continuity, Algorithm, Calculus (Sequences)…. I had to give a detail description on Sorting…right from Decision trees to complexities and so on. They asked me totally on Math. 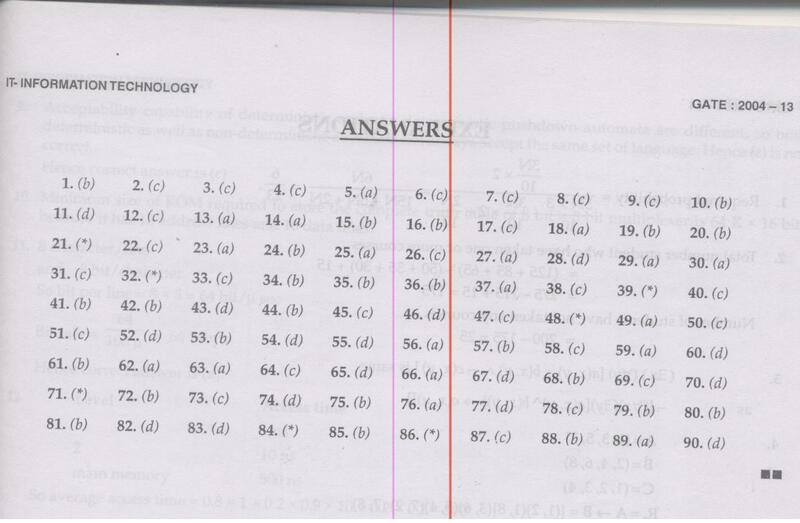 Number of onto functions from a 6 element set to a 2 element set without using formula for onto functions,condition for onto functions,a determinant problem,simple class 6th standard geometry(which i cant solve and they were laughing seeing that i have forgotten this),no of multiplications in expansion of a n*n determinant problem and one good question print largest 10 elements of a binary search tree in most efficient time.But profs are cool,they are helping 90%.That’s all. i was also asked to provide details of sorting algos with proofs of complexities in more than one way. the questions were not easy but they were very basic.they asked me questions from maths(probability and permutation),DS, Automata. I think one can solve at least 10-12 questions from Objective math if he/she has good basis of fundamental discrete and real mathematics. In subjective paper, mathematics problems were tricky, I solved only one…. but at least three from CS were normal ( semaphore, networks and automata ). b) You have an uni-modal sequence (Definition was given in question, search net for definition). Find the mode in O(log n). 2. There is a forest where there are tigers and elephants. There are two processes named tiger and elephant. Design a concurrency processing using semaphore, such that tigers and elephants can not drink water from a pond simultaneously, whereas more than one tiger or more than one elephants can drink water simultaneously. 3. Z scan of a matrix, if a 2×2 matrix, then print elements like ‘Z’, i.e. (0,0),(0,1),(1,0),(11). If 4×4 matrix, then divide it into four 2×2 matrix in form of ‘Z’, scan each of them again in forms of ‘Z’. [diagram was given]. Write a C function to implement this for NxN , where N=2^m. 6. a) Show that the language W that consists equal numbers of ’01’ and ’10’ as a substring, is regular. b) A grammar was given. Show then it is ambiguous, then remove ambiguity from grammar to produce an equivalent grammar. There were two more questions from algorithm design and parallel processing . 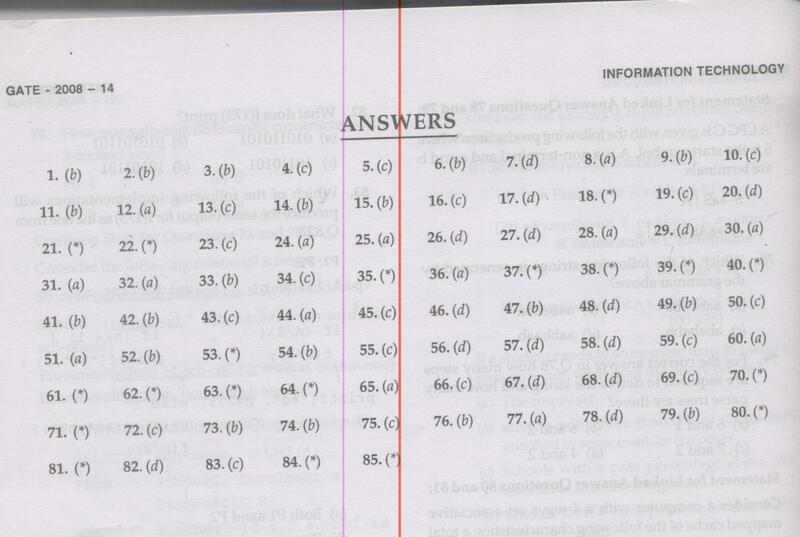 General category rank cutoff at ISI kolkata , last year(2010) was approx 800. Not very sure though. Placements : min 4lpa(IBM) , avg 8lpa , max 18lpa(IBM IRL). Recruiters : Google,NVIDIA,IBM Research,Opera, LoudCloud etc.